This is an abridged version of our Graduate’s Guide. You can download the unabridged Property Personnel Graduate Guide here. We know how daunting it can be to leave university with that hard-earned qualification in your hand and venture out into the big, exciting world of work. However, it isn’t half as scary if you possess a little vital information. Although many graduates know exactly what line of work they want to go in to, others may feel as though they have reached an intimidating crossroads. More still may find that they simply can’t land a job in their chosen field, due to the scarcity of available vacancies. No matter which case applies to you, one of the first steps towards getting a job you love is to identify a career path. Research, you ask? Yep, but there are lots of ways to do this. Speak to recruiters, chat to people who do the job you want and assess your own skills. The government’s National Careers Service is a great resource, offering advice, skills tests and real life stories to help you find your way. You may even discover that skills you’ve developed through hobbies and other extra-curricular activities might open doors that you had not previously considered. This does beg the question, do academic qualifications actually play a part in determining a career path or is it all about skills? Work experience – how important is it? As competition for jobs ever-increases, one of the biggest tips dispensed to graduate job hunters is to ‘find a way to differentiate yourself’ – something which generally alludes to gaining some work experience. It can be a great way to learn, to get a foot in the door and can look fantastic on the CV. It’s also useful as it lets you try out a particular job or industry for size. We freely admit that there are occasions when providing this either free or low-paid labour can be disheartening, but it’s definitely worth the bother. Here’s something you should know about submitting a CV: most recruiters and hiring managers will spend an average 6.25 seconds reviewing a CV before deciding whether or not to progress an individual. That means you have just 6.25 seconds to grab the recruiter’s attention and show you are worthy of consideration. Some people may think that traditional CVs are outdated, favouring other ‘clever’ methods, but unless you are applying for a role where an over-the-top, tongue-in-cheek approach would be welcomed, stick to a plain old CV. 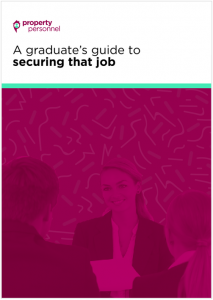 Social media has become a hugely valuable tool for graduate job hunters, offering so many opportunities for them to get noticed by people that matter, network and be exposed to more job vacancies. A great social media presence may even elicit calls from recruiters. Suffice to say, using social media effectively can significantly enhance your job prospects. If you don’t already have one, create an account on professional social networking site, LinkedIn. Don’t make this a carbon copy of your CV though, add all sorts of details and update it with any new skills or experience you acquire. The great thing about LinkedIn is that you can join groups and participate in forums that are appropriate for your industry. You can make connections, ‘follow’ valuable employers and also be found via the search function. We’re going to be honest here, the job hunting process is a long, arduous and sometimes disheartening journey. In the interests of managing your expectations, we can’t emphasise enough how important it is for you to be patient, have some resilience and develop a thick skin. The truth of the matter is that, unless you apply via an agency, you may not have your applications so much as acknowledged. There will be times when you are dangling, not knowing whether you’ve been short-listed or rejected. It’s tough; not all employers have the resources to cope with hundreds of applications. It’s not nice, especially if you feel you’ve poured your heart and soul into an application or that you have the correct qualifications. You are fully entitled to contact the employer for feedback and the information shared can be really useful in helping you create a stronger application in the future. Yes, you’ll get knocked down, but don’t let this temporary disappointment ruin your job hunt. Persevere, get back on that horse and try again. Argh! Few of us like interviews; they rank among life’s most unpleasant and nerve-wracking experiences. However, if you want that job, then interview-phobia is something you need to overcome. The key, it’ll come as no surprise, is preparation. The great thing about this style of interviewing over a more informal approach is that you can readily Google competency based interview questions from which you can prepare answers. You should be able to discern the competencies from the job description and/or advertisement, but if you’re unsure, ask your recruitment consultant. Just knowing that you’ve prepared, have researched the company and can answer simple questions like: ‘what are your skills and weaknesses?’ should inject you with some confidence. It’s worth knowing that you can take notes into an interview, though it’s polite to ask as a courtesy. You may not even refer to them, but the reassurance that a note book provides can help diminish your nerves. Should your mind go blank, then you can consult your research. It’s your first day; you’re understandably nervous, but excited. How can you be sure everything will go smoothly? Much of this is reliant on the employer’s onboarding processes, but in most cases, you should expect a practical day. It’s likely you’ll have a lot of forms to sign, policies to read and training to begin. However, you’ll also get to meet your new work mates, have a thorough tour of the building and possibly start on an induction course which will tell you all about the company. Your contract will probably state a probation period – in which your skills and behaviours will be closely scrutinised. Don’t be alarmed, this is usual and it also gives you a chance to decide whether this really is the job / employer for you. If either party decides that things aren’t working, they can give a shorter notice period before employment is terminated. Probation varies in duration depending on your employer, possibly ranging from one month up to a year. Whilst working within this period, you may find that you are not eligible for sick pay, though this may be subject to your manager’s discretion depending on your circumstances. How do you secure that job? Know what to expect on your first day. Bear all of these points in mind and you should significantly boost your chances of getting that job. Remember, you are brilliant – who wouldn’t want to employ you?